As the Rebbe at CYHSB entrusted with teaching 9th grade Talmud, it has long been my belief that an effective Gemara education must not only introduce students to the depths, complexities, intricacies and logical discourse of the world of The Oral Law, but must also enable students to become independent learners through familiarizing students with the syntax of the Gemara, the principles that guide it, and most critically, the development of an extensive basic word vocabulary. A longstanding concern of Limudei Kodesh teachers has been to find ways to ensure that this knowledge base be enduring, as too often students do not retain that which they have learned from year to year. For this reason, I am very excited to be part of a new initiative in our Upper School (grades 7-12) that is focused on building a base of knowledge and skills and secure its retention throughout a student’s school career. The program begins with the extraction of basic words and concepts that are found in the material being studied in class, and placing them on a list that the students are accountable to know. While this has been done before, an important new feature will be that students will be given cumulative tests on the entire list on a biweekly basis. Rather than being quizzed on subsets of words and then receiving a comprehensive exam as a midterm or final that many tend to cram for and then forget it all the next day, students will constantly be reviewing all the basic information learned on a consistent basis, which should result in superior learning and retention. These lists are being built on quizlet.com, an online site that allows every student constant access and a variety of study and review options. The use of quizlet will also facilitate a second aspect of the program; the lists will be passed down to the next year’s Rabbeim and teachers, and rather than forming brand new lists, students will continue to be held responsible to know what they learned last year through the same biweekly tests, and continue to build on those very same lists. The aim is to absorb and build, rather than learn and forget. The purpose of the student driven lists is to provide a tool that addresses the subjective needs and levels of different students, and further reinforce and solidify students’ knowledge. Throughout each student’s years in the Upper School we will assess his ability to put the knowledge of these terms into practice. Students will have to tackle new pieces of Gemara on their own using the key terms and common words they know to identify the structure of the Gemara before plunging into the content. Additionally we will administer oral tests in which the students will have to read, explain, and translate Gemara on a regular basis. 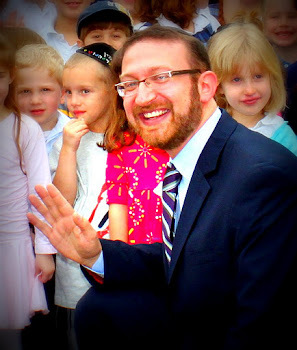 Our Upper School Gemara program facilitates six years of progressive growth. Seventh and eighth grade are an introduction to Gemara skills. Ninth grade is basic Gemara skills development. And in tenth through twelfth grade the students are placed either in a Gemara topics class, an intermediate skills class, or Gemara Beit Midrash for the most skilled students. On its highest levels our Gemara program demands two and half extra hours of Torah learning a week, pursuing an independent learning goal (e.g. completing a full perek or masechet of Gemara) and sustained periods of time learning bi-chavruta with members of the Kollel. I want to credit and thank Rabbi Noam Stein for devising this plan of action and putting it into place. We are very optimistic about this program and looking forward to our students achieving even greater accomplishments in the coming years. Kol hakavod--this could be a huge innovation in learning. Is there a tag where a person could access these sets to learn from?